Below you will find a chart comparing the key statistics for each team (side-by-side). I have split the chart into 2 categories: 1) conference-only & 2) tourney-only. 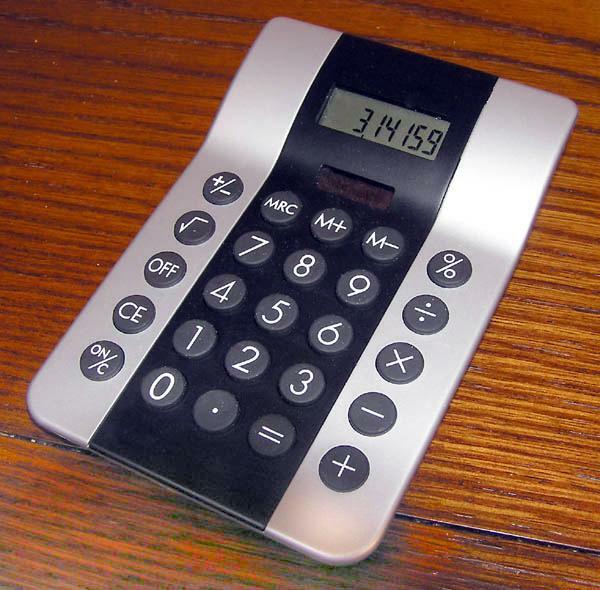 It’s difficult to draw any solid conclusions from the data because of the disparity in each team’s strength-of-schedule. 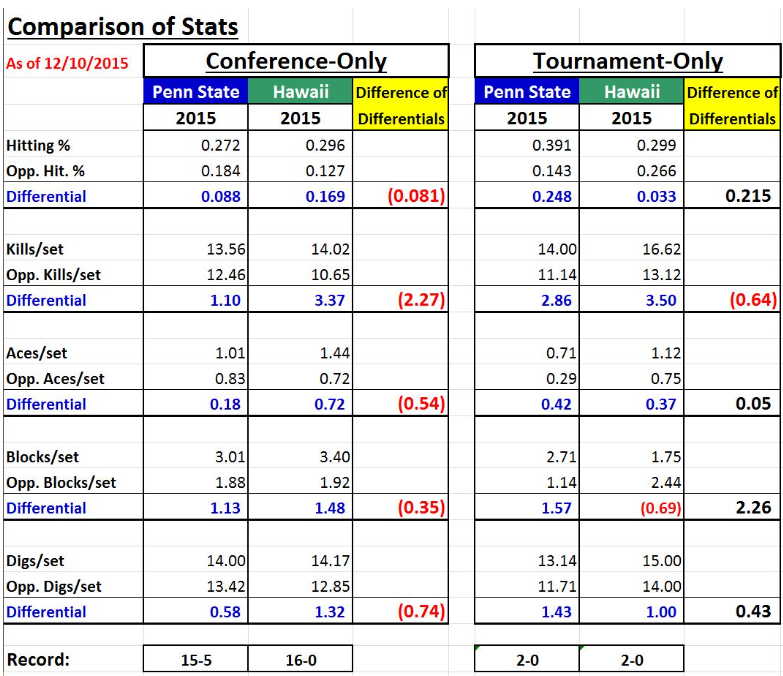 I have put together the sideout stats for both Penn State and Hawaii for comparison. I have only gone back the last 14 matches for both teams, including the 2 tourney matches they’ve each played. 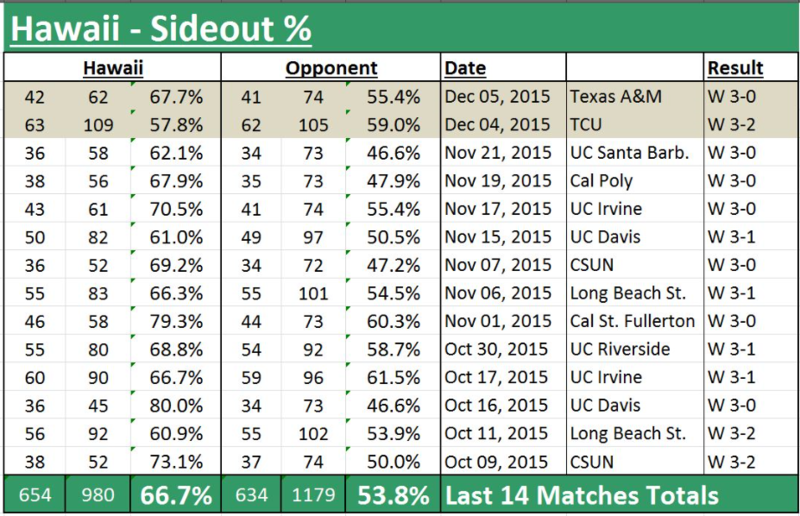 HI is siding out at 66.7% over the past 14 matches and their opponents are at 53.8% (differential is 12.9%). Please keep in mind that PSU has had a much tougher schedule in the regular season than Hawaii. 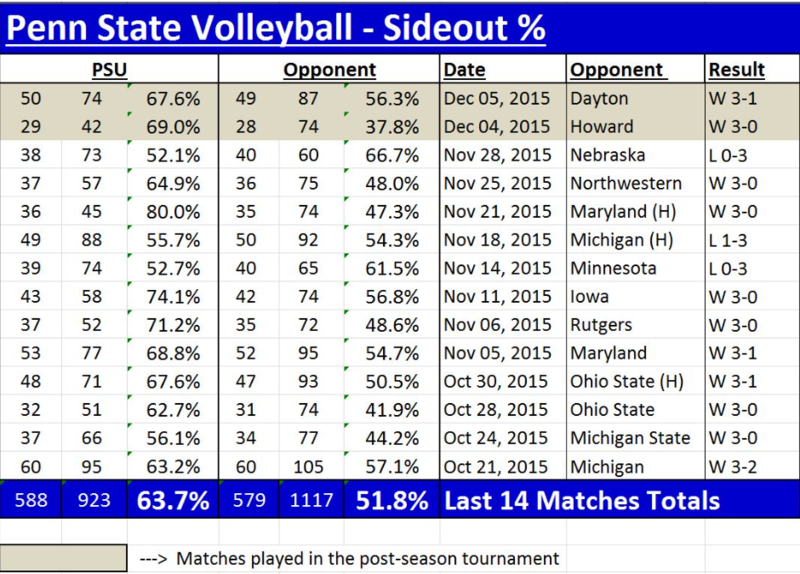 However, Hawaii has had tougher matches in the tourney, thus far. Looking forward to a great match!